Almost two million units of the BMW 1 Series have been sold worldwide over the last ten years, and this latest edition is poised to set another new benchmark in driving pleasure in the premium compact segment. The new 3-door and 5-door BMW 1 Series models come with a comprehensively revised engine line-up and additional measures designed to reduce fuel consumption and emissions, allowing them to lead the way once again in the introduction of new BMW EfficientDynamics technology. 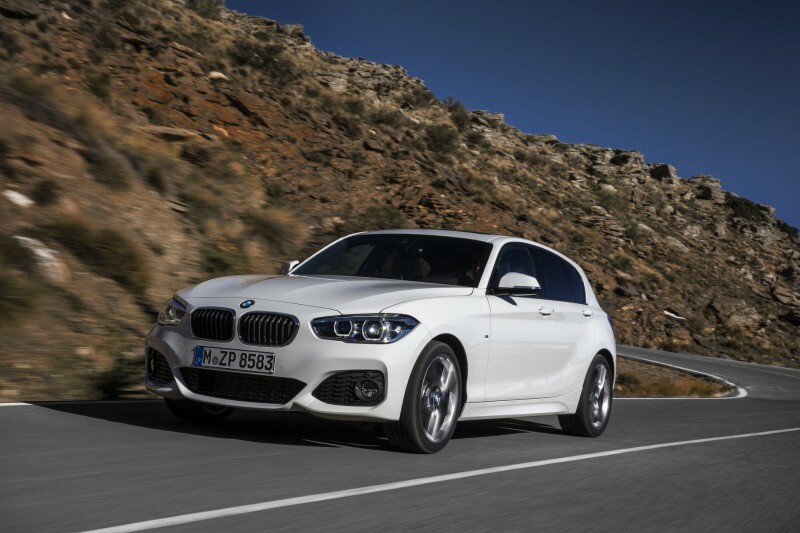 The selection of engines available for the new BMW 1 Series model range has been enhanced by the addition of latest-generation petrol and diesel units with three and four cylinders. The torquey and high-revving engines with BMW TwinPower Turbo technology team up with rear-wheel drive – still a unique selling point in the compact segment – to deliver a suitably intense driving experience. And an even broader spread of standard equipment, an output boost for the six-cylinder in-line engine powering the BMW M135i M Performance Automobile and cutting-edge innovations from BMW ConnectedDrive also imbue the brand’s hallmark characteristics with renewed vigour. A newly designed BMW kidney grille and larger air intakes help to emphasise the car’s dynamic potential in familiar BMW style. Headlights with a significantly flatter geometry play a similar role. They come with LED daytime driving lights as standard and can now be specified in full-LED specification as an option. The rear lights have also been completely remodelled. They now display the “L” shape characteristic of BMW models and reveal LED-powered lights. Elsewhere, the sophisticated design of the upper centre console with the controls for the radio and climate control system is foremost in accentuating the premium ambience on board the new BMW 1 Series. Standard equipment for the new BMW 1 Series model range now also features automatic air conditioning, a rain sensor, the BMW Radio Professional and the iDrive operating system, complete with a high-resolution 6.5-inch display integrated in the instrument panel as a freestanding monitor. And the Advantage, Sport Line, Urban Line and M Sport packages available as an alternative to standard specification provide fresh scope for targeted individualisation. An extensively updated line-up of engines and extended BMW EfficientDynamics technology ensure that the new BMW 1 Series model range once again sets new standards in its class by further reducing fuel consumption and emissions. 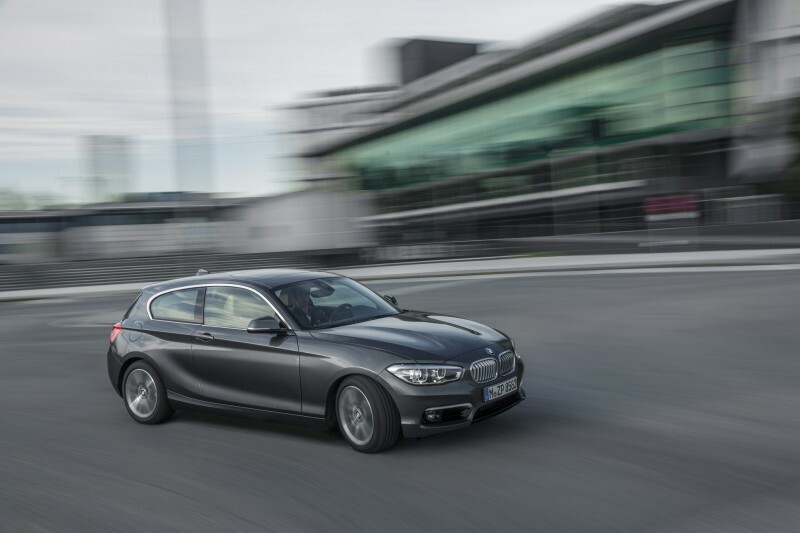 BMW 1 Series customers will now be offered three- and four-cylinder power units from the BMW Group’s new engine family. The new efficiency pacesetter in the brand’s model range is the BMW 116d EfficientDynamics Edition with 85 kW/116 hp and average fuel consumption of 3.4 litres/100 kilometres (83.1 mpg imp) combined with CO2 emissions of 89 g/km in the EU test cycle. A 5 kW increase in output (to 240 kW/326 hp) from its six-cylinder in-line engine allows the new BMW M135i (average fuel consumption: 8.0 litres/100 km [35.3 mpg imp]; CO2 emissions combined: 188 g/km) to strengthen its position as the elite sports performer in the BMW 1 Series’ competitive segment. Like the BMW 120d and BMW 118d, the BMW M Performance Automobile can also be specified with the intelligent all-wheel-drive system xDrive which, as well as serving the causes of traction and directional stability, also enhances the car’s dynamics. The new BMW M135i xDrive (average fuel consumption: 7.8 litres/100 km [36.2 mpg imp]; CO2 emissions combined: 182 g/km) sprints from 0 to 100 km/h (62 mph) in just 4.7 seconds. 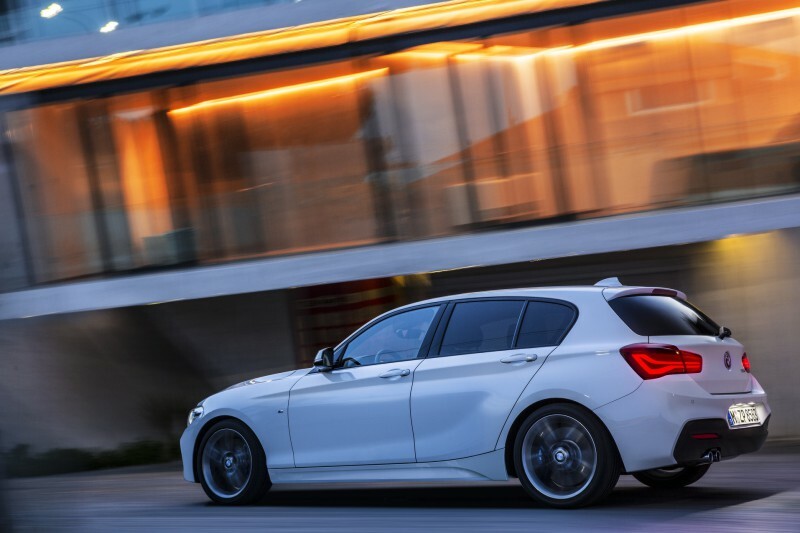 All models in the new BMW 1 Series line-up come as standard with an embedded SIM card, which allows use of the likewise standard Intelligent Emergency Call and BMW TeleServices functions, as well as access to optional internet-based mobility services. In addition to BMW Online and Real Time Traffic Information, customers can also enjoy the Online entertainment function. Further online services can be integrated into the car using smartphone apps and operated safely, intuitively and conveniently via the iDrive system. Meanwhile, the new Navigation system Professional also offers automatic map updating by mobile phone via the embedded SIM card, which is free of charge to customers for the first three years following registration of the car.